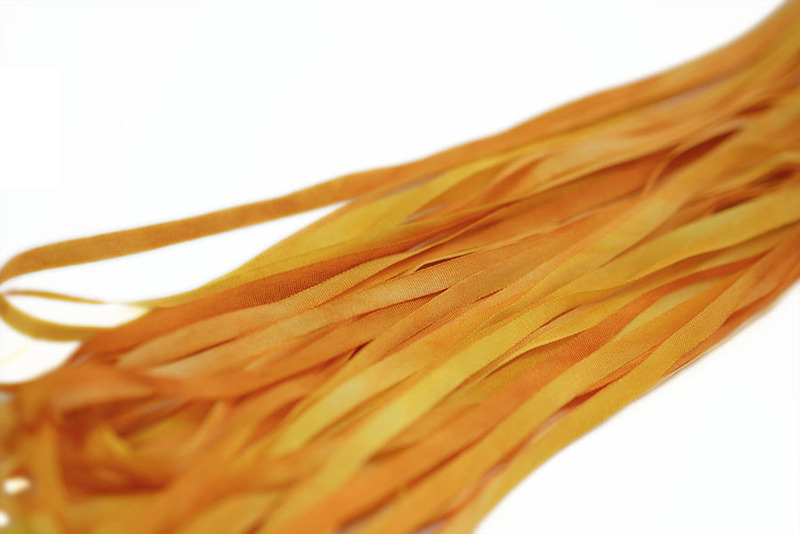 100% Pure Silk Ribbon in 2mm (1/16"), 4mm (1/8") and 7mm (1/4") widths hand-dyed and solid-coloured. All our ribbons are of very high quality, they are made in Japan and hand-dyed in UK. The ribbons are not bias cut and have solid woven edges, so they do not fray. Hand-dyed ribbons come in nicely packaged skeins 3 meters long, and solid-colour ribbons are sold by meter. 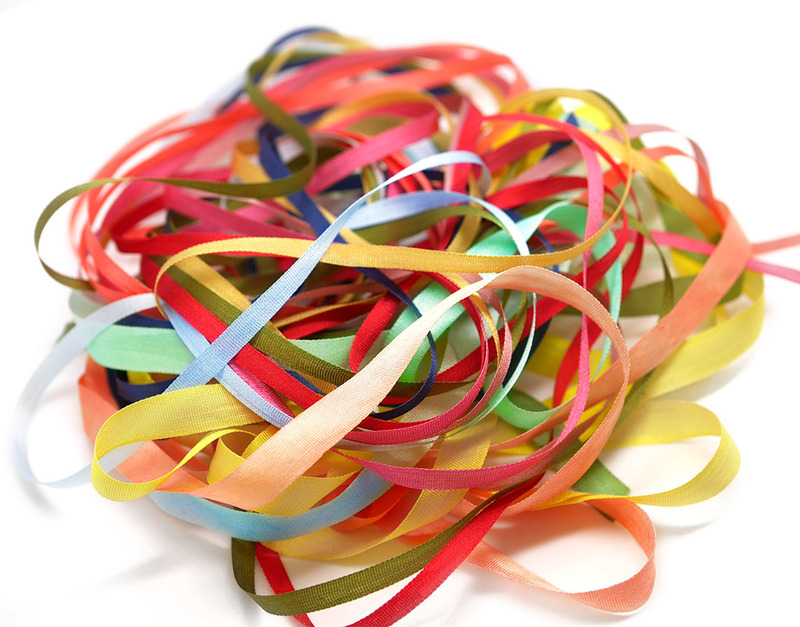 We also stock silk ribbon saver packs and sell ribbons in bundles. Silk ribbons are perfect for various crafts and especially for silk ribbon embroidery. Whether you choose them for stitching, embellishing, bridal bouquets decorating or card and jewellery making, please handle and store them with care. Consider taking a look at our FAQ section where we provide some recommendation on how to look after the ribbon. 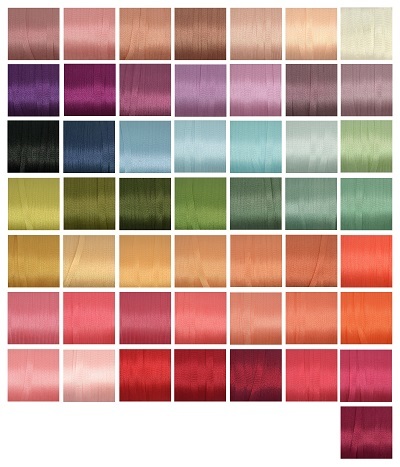 We stock silk ribbon saver packs and bundles in case you need a few shades in particular colour range: a few greens or pinks, for example, or just some bright shades to stitch flowers. Those packs include four different ribbons each is 4 meters long. That’s 16 meters in total. Solid-coloured silk ribbon are the most recent addition to our selection. 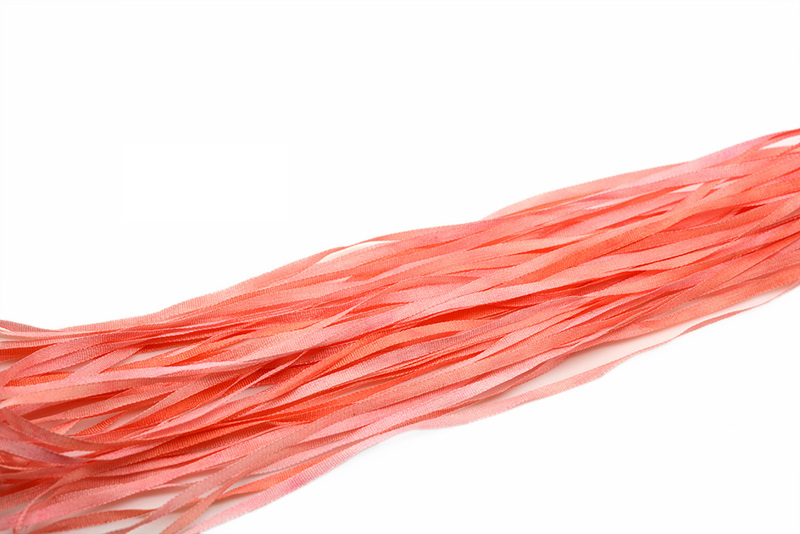 The ribbons are made of 100% natural Japanese taffeta silk and are very smooth and delicate. 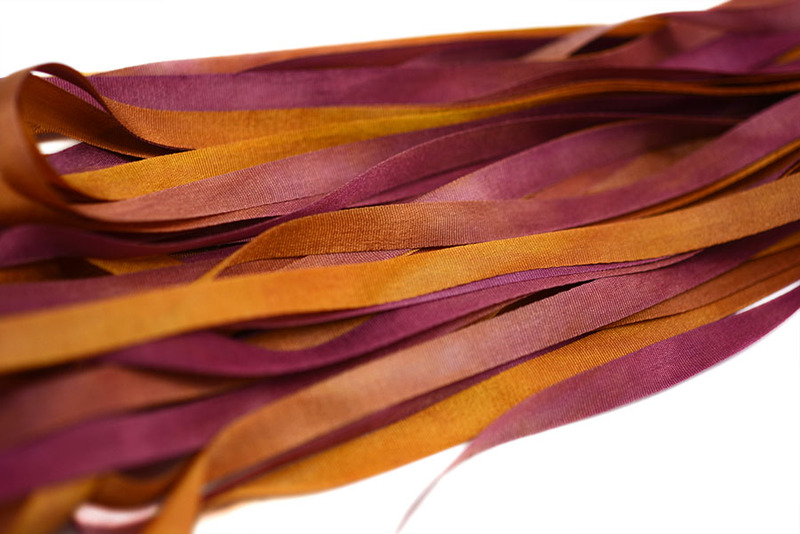 They are a fantastic compliment to our range of hand-dyed variegated ribbons, greatly widening the colour range, suitable for a wide variety of uses such as embroidery, dress-making, festive decorations, doll-making, etc. The narrowest silk ribbon that exists. Perfect for imitating grass, wild flowers and simply for miniature stitching. Remember that the narrower ribbon you choose the smaller finished stitching you get, so if your project is a stitched necklace this ribbon is an ideal choice. This is the most popular width in silk ribbon embroidery. These are perfect for miniature silk ribbon flowers – for leaves and petals. Bushes, trees, any background foliage are mainly stitched with these silk ribbons. Spider’s web roses are also good with 4mm wide ribbons. This width is ideal for larger flowers and leaves, larger spider’s web roses, everything you create on a bigger scale. If your project is a large vase with a lush bouquet in it, than 7mm wide ribbon is your choice. It’s probably no need to say that you can make folded roses and leaves, and also bows using such ribbon. You can also use the ribbon as a gift wrap. 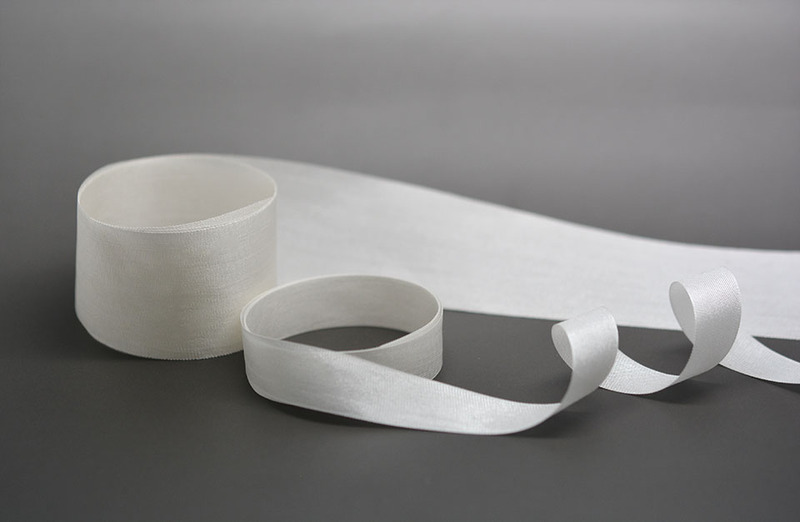 Broad selection of pure white natural silk ribbons for a variety of uses. Narrower 2mm and 4mm-wide ribbons will compliment our coloured range, and 7mm, 13mm, and 32mm-wide ones are perfect for folding and gathering techniques to create large flowers.